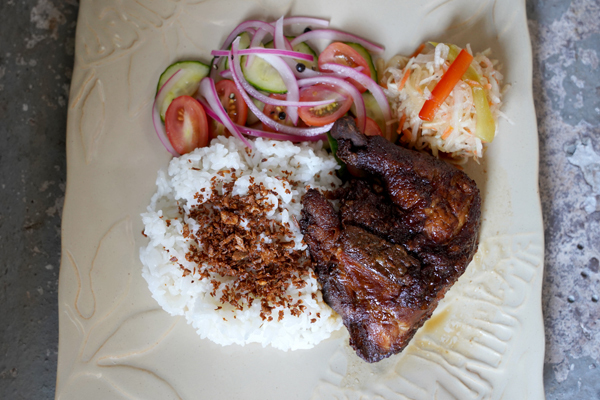 Chismis & Co. is a brand new Filipino concept, showcasing its flavors and culture. We were formerly in Armature Works’s Heights Public Market and soon opening in Seminole Heights...stay tuned. We hope to encourage folks to dive into a cuisine that is approachable to those who are not as familiar with it but also identifiable to those who cook this type of food at home every day. We’re joining forces with our friends The Pink Pineapple for a Tiki Cocktail Party at Coppertail Brewing. Includes 1 Drink with abundant and satisfying Filipino street food. Cash bar thereafter. Come join us this Valentine's Day for an eat with your hands Filipino feast Kamayan style! We are honored to host our homie Chef Yana Gilbuena of the world famous Salo Series as she collaborates with Chismis & Co. and the Pink Pineapple for a ridiculously fun dinner at Southern Brewing & Winemaking. Too much food and too many dranks to be had. Sign up for news on our next location and future Kamayan Feasts.